waste challenges from start to finish. Industrial Shredders is proud to present THE American Made, Tissue Log Shredder that can be fully integrated inline with any system or process on your shop floor. This machine can reduce your overall tissue paper waste and labor costs by automatically redirecting scrap & mis-rolls into our shredder without labor intervention. 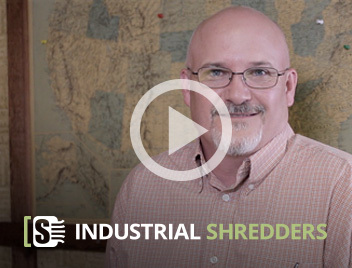 Originally incorporated in 1854, Industrial Shredders, Ltd., based near Cleveland, Ohio, is a U.S. Manufacturing Company which produces high quality, innovative shredding and size reduction equipment. If you can't find a shredder that's right for your application, call us, and we'll engineer one for you! We want to be your shredding solutions provider.